There are a ton of games that come out every year, that go underneath the radar. Games with decent budgets, franchises and licenses attached to them. And as a pseudo-fan of Warhammer 40K’s lore, I’m trying to figure out how I missed seeing a first-person shooter set in that universe, being announced over a year and a half ago. 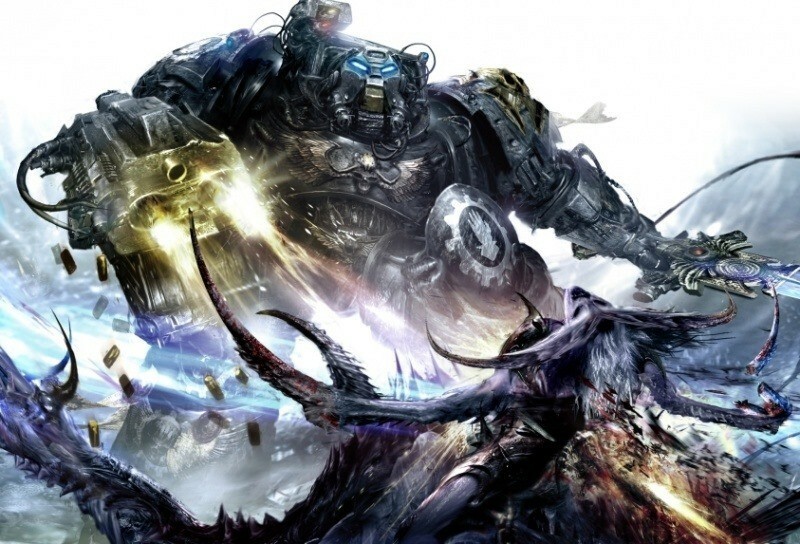 It’s called Space Hulk: Deathwing, and until somebody else picks up the former THQ license to make a new Space Marine game, it sounds pretty solid. Space Marine Veterans who have earned the right to wear Tactical Dreadnought Armour, better known as Terminator Armour, and serve as their Chapter’s greatest infantry assets, each essentially serving as a walking tank. Tactical Dreadnought Armor combines the technological developments of Power Armour with the sealed environmental suits designed for starship crews that work in highly unstable or corrosive environments such as inside the high pressure casings of plasma reactor shields. Terminators are always members of the elite 1st Company of a Codex Astartes-compliant Space Marine Chapter. All suits of Terminator Armour have built-in teleportation devices which allow them to deploy anywhere via deep strike, although more often they are deployed using Land Raiders. Terminator Squads consist of a Terminator Sergeant and between 4 and 9 Terminators. Terminators are truly amongst the greatest heroes of Mankind, bold warriors in whom the indefatigable heroism of a Space Marine is combined with the terrible weaponry and indomitable mass of Tactical Dreadnought Armour. No foe is safe from a Terminator assault, not a horde of Orks or a Chaos Titan. Terminators are nearly invincible, unstoppable and they never yield. We’ve seen a ton of super-soldiers in games already, but there’s something about the Terminator that makes me want to play as a super-soldier god. Beyond the knowledge that the game is using the Unreal Engine 4 to power the game, publisher Focus Home Interactive have kept a tight lid on the title. The game will however be on display at GDC next month, so hopefully I can finally get a glimpse at it and see it in action.